Aruba is a 33 km-long island of the Lesser Antilles in the southern Caribbean Sea, and is located 27 km north of the coast of Venezuela. It is one of the four constituent countries that form the Kingdom of the Netherlands, together with the Netherlands, Curacao and Sint Maarten. Aruba, unlike much of the Caribbean region, has a dry climate and an arid, cactus-strewn landscape. In fact, the warm and sunny weather all the year round has greatly helped the tourism industry here. 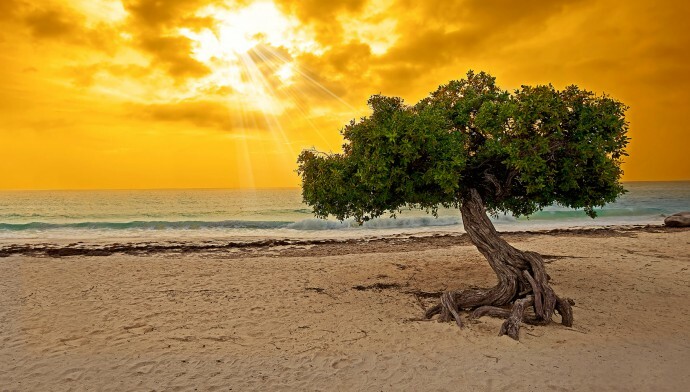 Divi-divi trees, easily recognized by their distinctive wind-sculpted shape, dot the landscape of Aruba defined by miles of pristine white, sandy beaches and a rugged northeast coast. Getting to this emerging tourist destination is quite easy. 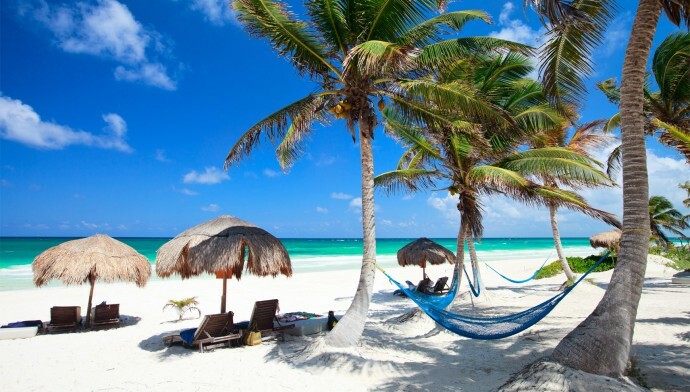 Usually, travelers think that Cheap Business Class Flights to Aruba is seldom available. But this is actually not the case as Discounted Business Class Airfares are much easier to get. 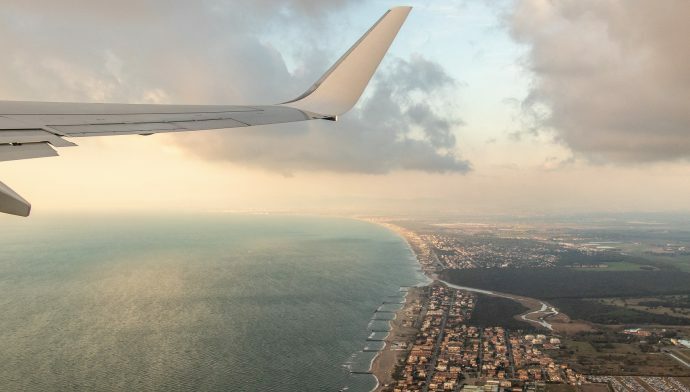 You just require to look out for Airfare Consolidators like Fare Buzz, the leading provider of Cheap Business Class Airfares to Aruba and other destinations worldwide, and save up to 70% by booking Cheap Business Class Airline Tickets with it. Aruba has become one of the most sought-after vacation destinations in the world over the past two decades. Safe environment, good weather all year-round, magnificent beaches, and multi-lingual, friendly population – all these attract millions of tourists annually to Aruba. Nightlife is quite vibrant and adds excitement to the island’s quiet desert island persona. Tourists have a gala time at the scores of casual beach and pier bars that dot the southwest coast from downtown Oranjestad, the capital city. Besides, tourists also get to see myriad of attractions here that include Natural Pool (Conchi), California Lighthouse, Our Lady of Alto Chapel, Aruba Aloe Factory, Casibari Rock & Ayo Rock Formations, Natural Bridge, Aruba Ostrich Farm, Arikok National Park, Guadirkiri Caves, The Palm Island, Hoolberg (Haystack Mountain), Butterfly Farm, Bubali Bird Sanctuary, De Oude Molen/Windmill, Historical museum, Archaeological Museum, Numismatic Museum, Aruba Model Train Museum, Museum of Antiquities and Sports Museum. Don’t wait anymore. Aruba is beckoning you! Book Cheap Business Class Flight Tickets to Aruba and visit this amazing place.